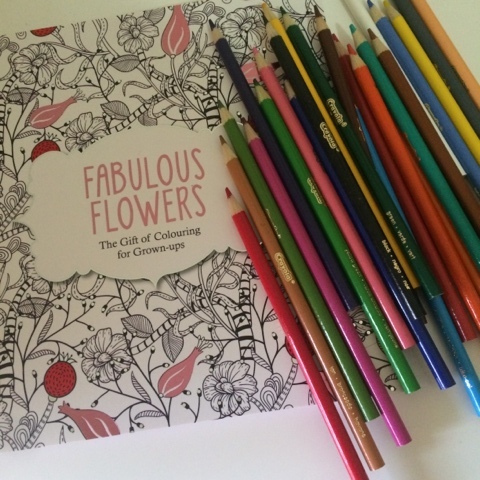 Recently it has become a trend for adults to embrace their childhood favorite colouring. Adult colouring books are more detailed and a lot harder to keep in the lines! The idea behind this concept is that colouring is very relaxing. So if you find that you are stressed out maybe try some colouring. I have been using the Fabulous Flowers and I got mine pretty cheap from K-Mart. I may have also purchased a children's Frozen colouring book too, as I adore the movie. There is a large variety of adult colouring books that are now available in store and online. You can find more options HERE. There are so many different designs and versions it is difficult to choose! I do believe it is relaxing and making the colourful patterns is just fun! The point of the activity is that it helps to de-stress and it's therapeutic. Have you purchased any colouring books? Let us know if you have below!